Interest rates are occasionally adjusted to reflect current market conditions under a variable rate mortgage. A variable rate mortgage, also called a floating or adjustable mortgage, is a type of real estate loan that allows the interest rate to reflect the market. This means that the interest rate will vary over time and may increase or decrease payments depending on market performance. Variable rate mortgages are often an alternative to fixed rate mortgages, which tend to start at a higher interest rate but do not fluctuate over time. While a variable rate mortgage can potentially create savings, borrowers may find themselves in serious risk of default and foreclosure should interest rates increase house payments above a manageable level. One of the main reasons that a person might opt for a variable rate mortgage is the low introductory interest rate. 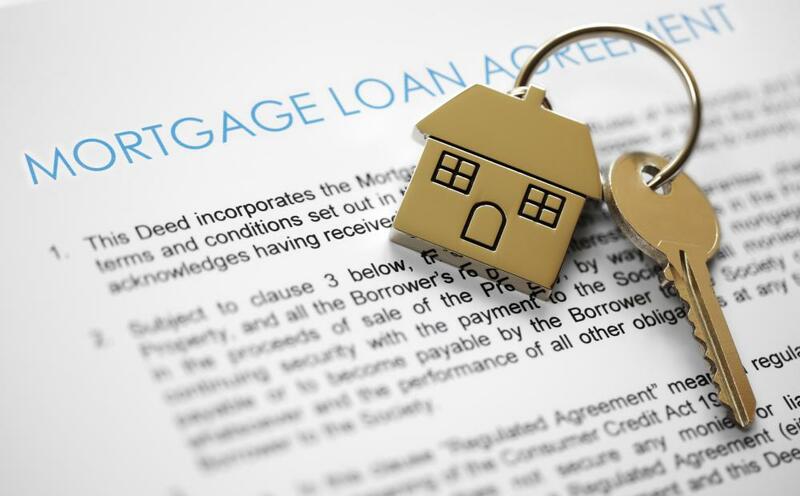 Typically set well below a fixed-rate mortgage, the introductory rate can ensure that payments are very low for the first few months or even years of a mortgage repayment. This may open the housing market to those unable to afford fixed-rate payments, which generally start out higher due to the interest rate. While people may be aware that the interest rate will increase over time, they may also assume that their income will increase as well, keeping payments manageable. The flexibility of a variable rate mortgage can also work in favor of certain buyers. Fixed-rate mortgages tend to have limited repayment terms of 15 or 30 years. With a variable rate mortgage, a buyer may be able to negotiate other terms, as well as the length of the introductory interest rate. For people who are planning to restore and resell a house, or for those expecting an inheritance that will allow them to pay off the mortgage before rates go up, a variable rate mortgage may be a good option. Floating mortgages have the disadvantage of being more complicated to understand than their fixed-rate alternatives. When considering fixed-rate home loans, a borrower can simply estimate the payments based on the amount and length of the loan and the set interest rate. With adjustable mortgages, it is important to know how long the introductory rate lasts, how often and how the interest rate can be raised, what indicates a coming rise or reduction in rates, and the rate ceiling. For people that are not mortgage or financial experts, the simple availability of so many options and criteria can be very confusing. The largest drawback to a variable rate mortgage is that interest rates, over time, do tend to increase. The massive upswing of foreclosures in the wake of the 2008 financial crisis was largely related to skyrocketing interest rates that made payments impossible for borrowers with a floating mortgages and low equity levels. For this reason, it is important to look at the interest ceiling of a variable rate mortgage, which is the highest level an interest rate is legally permitted to reach; if a borrower can afford payments with interest rates at the ceiling, then the mortgage may be a good deal. What Are Floating Rate Home Loans? What Is the Legal Rate of Interest? What is a Cost of Funds Index?